In 1999, Congress enacted the Children’s Online Privacy Protection Act (COPPA) to protect children 13 and under from the dangers of online privacy invasion. The act was revised in 2013 to include even more details of what information can and cannot be tracked or shared with third-parties. Yet, as the global mobile gaming industry looks to hit more than $46 billion in revenue this year – a large portion of which comes from children – it’s no wonder that companies are looking for ways around COPPA and into the advertising budgets of third party marketers and advertisers. If a law is in place to protect our kids then it is pretty safe to assume it is being followed, right? Well, this doesn’t seem to be the case when it comes to apps, as major companies like Disney and games and applications in the Google Play and App stores are being found to have broken the rules set out by the COPPA and are in fact exploiting our children’s online behavior. As parents, we trust that something meant for a child is safe to use and that when we see our daughter virtual swimming with Ariel or our son charming Belle as the Beast that they are in a safe zone. That they are free to be kids playing and not lab rats in some money-making advertising experiment. 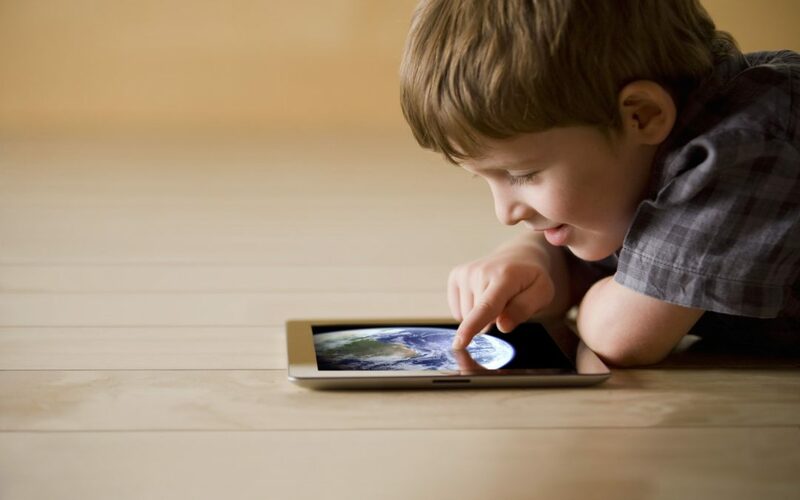 It seems like common sense, but as corporations continue to find every last crevice to fill with ads and product promotion, it’s our job to be aware of the potential dangers involved in allowing our children to play online or with downloadable technology. The Walt Disney Company is being sued for allegedly violating the COPPA as a federal class action lawsuit claims that 42 of Disney’s apps collect personal data from kids and give advertisers the information without parental consent. Three software companies – Upsight, Unity, and Kochava – are also named in the lawsuit as being part of the chain which has embedded tracking software and sends children’s’ information and online habits to interested parties. And this isn’t the first time America’s beloved media conglomerate has come under fire for COPPA violations – Disney had to pay $3 million when one of its subsidiaries, Playdom, was found guilty of registering ‘1.2 million users, most of them children, for online games.’ The company then collected masses of information — including age, email addresses, names, IM names and locations — and shared it illegally with third-party contacts. Yikes, we would not be looking forward to going up against Disney in court! What Can We Do To Protect Our Kids? We now know that this issue is ongoing, has repeat offenders and will likely be something that continues to perpetuate every aspect of our lives. Let’s face it – we all know Big Brother is watching somewhere. So, let’s make sure we at least are aware of potential online dangers and protect our kids the best we can! Talk to your kids. Engage with your children regarding online safety and appropriate behavior. Discuss what is acceptable and unacceptable when it comes to giving out information – even when registering for their favorite game. Think of an application as a stranger. Do we talk to strangers? No. Do we give strangers our name, email address, phone number, first born child, life’s savings, etc? No! Download Monitoring Software. We know, it sounds like child monitoring software is exactly what Disney or these other companies are using to target your kids. But, IT’S NOT THE SAME! Software like FlexiSPY is a powerful tool that can help you as a parent be able to stand up against major corporations of the world and keep your kids safe. FlexiSPY for Android or iPhone, as well as FlexiSPY for computers, gives you the ability to see which applications your child has downloaded and how they use them. This means if you see your child has downloaded one of Disney’s data-sending apps, you can immediately check its privacy settings and update them to keep personal data protected. We have a unique Application Screenshot feature which actually takes snapshots of an app while it’s in use, so you can be sure that your child is making smart decisions. Our Keylogger feature lets you see what information has been typed into an application – i.e. personal information – so that you’re able to speak with your child directly about how to make better decisions and to update the app to keep his or her privacy safe. Additional features like IM monitoring give you peace of mind that your children are staying children and chatting with friends about the best way to beat the next level – not with someone who could potentially endanger them. Check in regularly. This may be the most important step. Let your kids know you are here, interested in what they are doing and always available to answer questions they have. By being regularly involved in your child’s online activity, he or she will be more aware of their actions and more likely to speak up if they come across something you have discussed. And for those kids who just don’t like to chat, child monitoring software can help be their voice! For a full list of the Disney apps allegedly spying on your kids, read here. For a full list of apps tested by The Washington Post visit their site AppCensus. To get your copy of FlexiSPY, visit www.flexispy.com, and start protecting your children today!